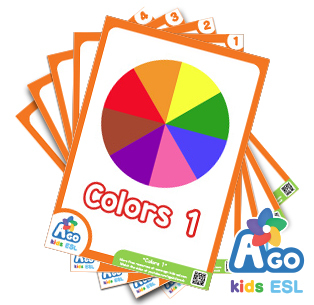 Get the free ESL flashcard pack, “Colors 1” to teach your students 8 different primary and secondary colors (red, orange, yellow, green, blue, pink, purple, brown and rainbow). Don’t forget to download the free “Colors 2 (Metallic, Dark, Light)” flashcard pack to learn the whole range of colors. Also check out our song “Colors and Colors” to learn sentence patterns for describing the colors of different foods and objects. 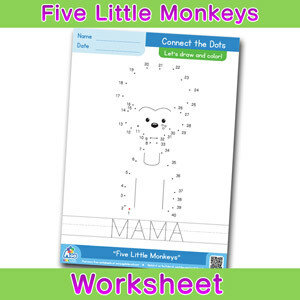 We also have some free printable “Colors and Colors” worksheets that can be used for any classroom. 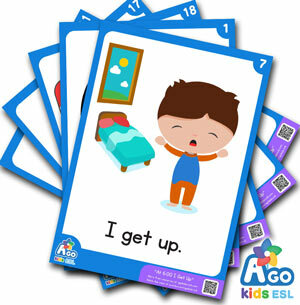 Suited for beginners and young children, these free flashcards will make your ESL and English classes the most popular classes around. Download the free ESL flashcard pack “Colors 1 “ to learn 8 primary and secondary colors. What’s your favorite color? 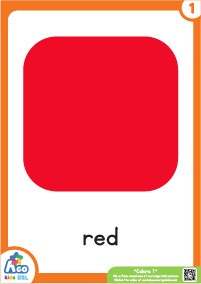 Learn how to say red, orange, yellow, green, blue, pink, purple, brown and rainbow with these easy-to-understand flashcards.